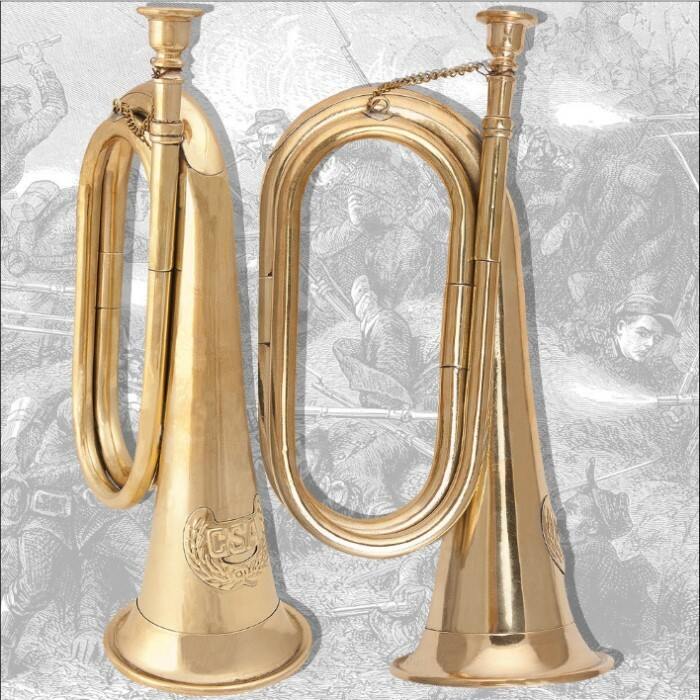 Civil War Confederate Bugle Replica | BUDK.com - Knives & Swords At The Lowest Prices! 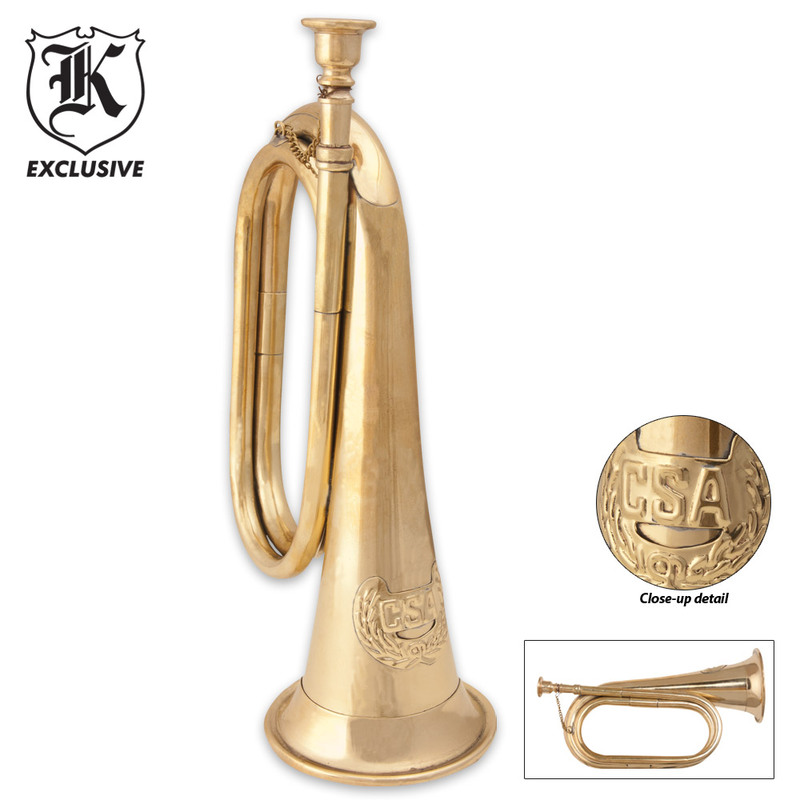 This Confederate-style bugle is perfect for re-enactors, everyday use or decoration. 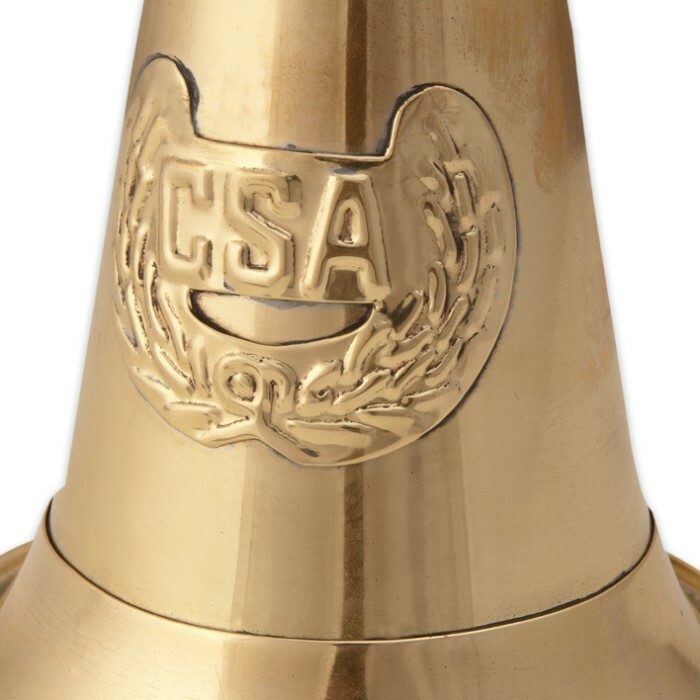 It is cast from 24-gauge brass and features an embossed CSA emblem. You will love the attention to detail on this Civil War replica. Definitely a must-have for your uniform or historical collection! Attractive, functional, well made, decorative faux historical artifact; a good buy at twice the price! This is a good looking Bugle for the money. It makes a good decoration or you can really play it if you know how.